It also shows that there are a lot of gaps. 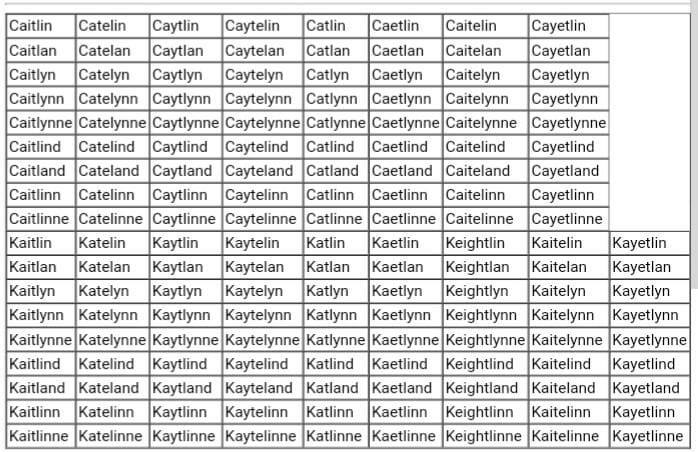 Not every combination in the table is possible — one wouldn’t combine Italian Chata- with German/Slavic -russcha, for instance — but there are a number of gaps that we might eventually find/fill, such as Katheline, Cattelyne, Cataryn, Catlyn, Katharin! 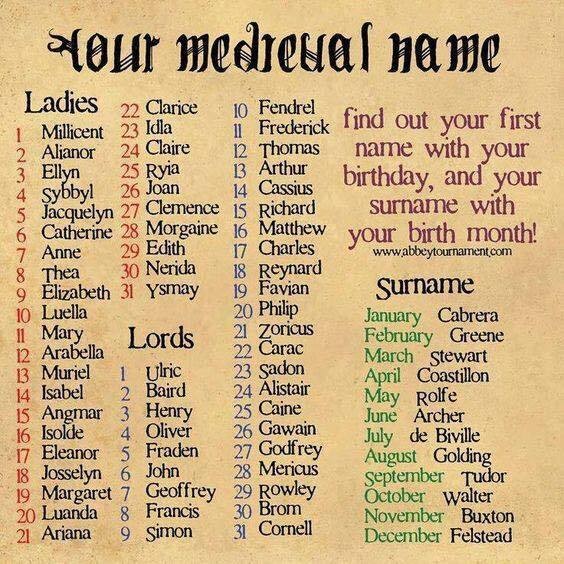 Who would’ve thought a single name could be so varied and so interesting? My favorites are the Quat- spellings. What are your favorites? Share with us in the comments!